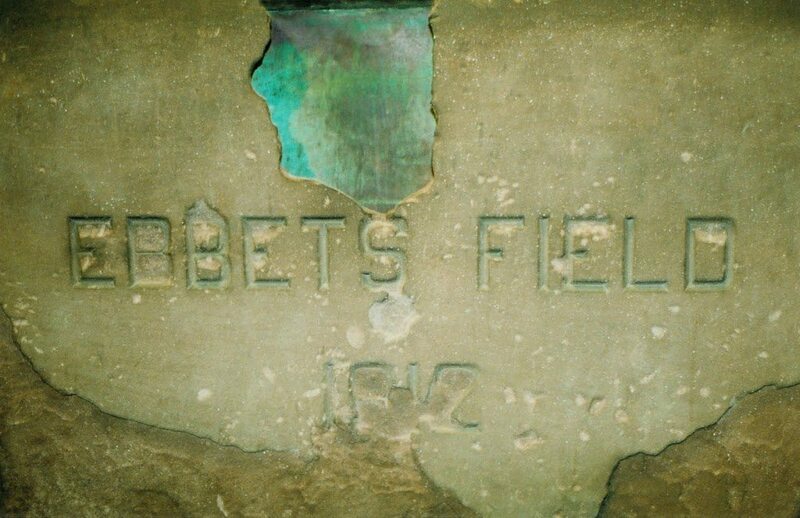 I’ve been to Brooklyn Ebbets Field. I found that so many former Dodgers couldn’t describe the whole ballpark. They might remember superfan Hilda Chester or the ad signs, but that was it. Ex-players often limit themselves to outfield dimensions. “The rotunda really wasn’t very much. A large dome entrance to the stadium with six ticket windows operating daily. We had no offices at Ebbets Field. Our offices were on Montague Street just opposite City Hall. Players usually drove cars to the ballpark. Usually shared rides with each other. We had a special parking lot for the players. However, the subway station wasn’t more than a 150 feet from the ballpark. The best thing about Ebbets Field was the fanatical fans and the Dodger “Symphoney” band made up of five ticket holders. The clubhouses were both no more than fifty feet from the field. Fred Fitzsimmons, former Giant pitcher and later a Dodger, owned and operated a bowling alley across the street from Ebbets Field. Was a meeting place for many after the games. 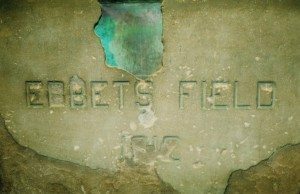 I offer my sincere thanks to the awe-inspiring www.Ebbets-Field.com for the image. Stop by to get more of what “Buzzie” was remembering.